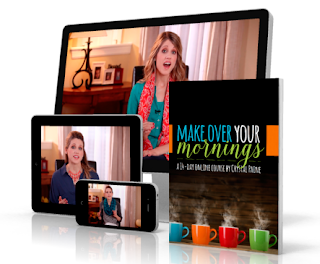 Here's an online course I'm loving and I think some of you would enjoy it too: Make Over Your Mornings. I pretty much absolutely despise mornings, but this had me intrigued (especially because it's not about getting up early!). I have loved Money Saving Mom's resources for years and it's one of the few I share on our website. She's very busy and high energy and I am sooooo not, but I do believe I'll benefit from being more intentional about the beginning of my days. I've cut my to-do list to nothing and have no need for productivity, so I'm pretty fortunate (not lucky, we've worked hard to create this peaceful life!) BUT I really don't feel great wasting my mornings away and not getting going until it's hot outside, the kids are wound up, and I've already missed a lot. This sentence in the course description really caught my attention - it's "about creating a morning that is in line with your life, your strengths, your family’s needs, and your unique situation." Ours is certainly pretty unique! Plus our family has some special needs and I need to better use my strengths to help shape our days. ·Develop a morning routine and before bed routine that actually works- and that sets you up for amazing success! ·Streamline your morning tasks so that the biggest priorities are accomplished first. 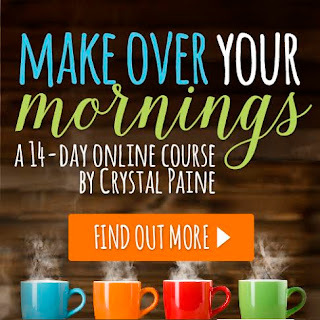 ·Learn how to make to-do lists that support your day, instead of strangle your life. ·Create realistic, but stretching goals and then follow through with them. ·Discover the power of accountability and how to implement it into your life. ·Establish internal and external motivations to create perseverance in your new routines. ·Find time to refuel your tank and make space in your day for things you love. ·Experience much more focus, organization, and clarity in your daily life. And it's meant to take 15 minutes or less each day, so not even a big time investment. 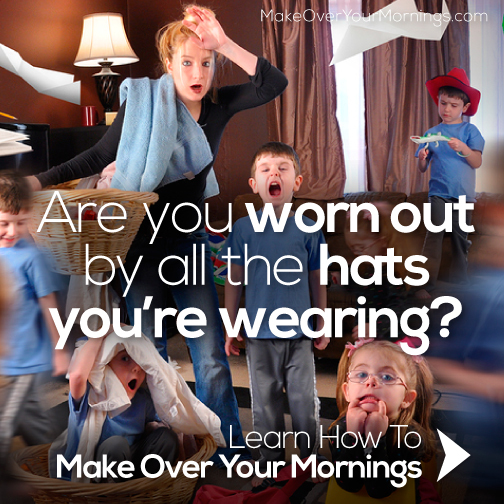 If you're interested, please check out Make Over Your Mornings. This is an affiliate link because I think it's a great opportunity. You take a fun course and I get a few pennies to spend on something helpful, probably chocolate.